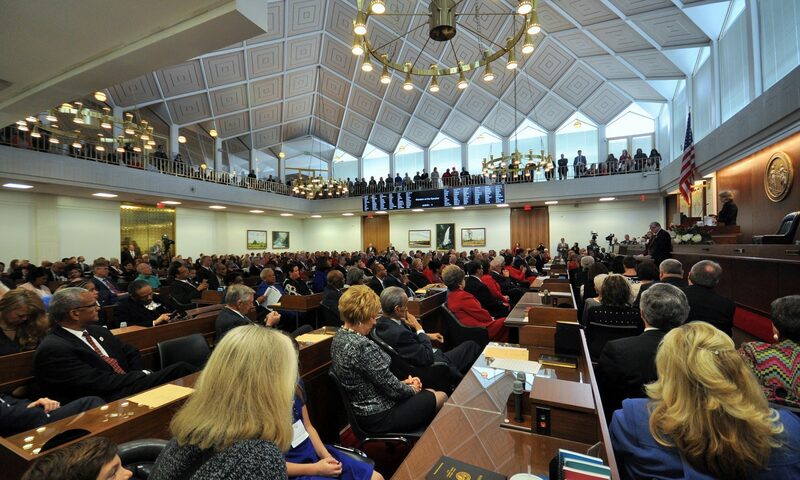 Raleigh, N.C. – A proposed constitutional amendment to strengthen protections for working North Carolinians against forced unionization passed the House of Representatives by a 75-44 vote on Tuesday. House Bill 819 Protect Right to Work Constitutional Amendment is sponsored by Rep. Justin Burr (R-Stanly), Rep. Jimmy Dixon (R-Duplin), Rep. Kyle Hall (R-Stokes) and Rep. Jason Saine (R-Lincoln), and would let voters decide whether to strengthen workers’ rights in a ballot referendum during the November 6, 2018 election. The proposed constitutional amendment would protect North Carolina’s ‘Right to Work’ status by prohibiting employers from forcing workers to join a union or pay union dues as a condition of employment. “This legislation is vital to continue our state’s reputation as favoring workers’ choice, especially given the broad efforts of international labor unions to undermine current statutes and ultimately open up North Carolina to widespread, economically damaging unionization,” said Rep. Justin Burr (R-Stanly).